← Microblog Monday: Due date, again. 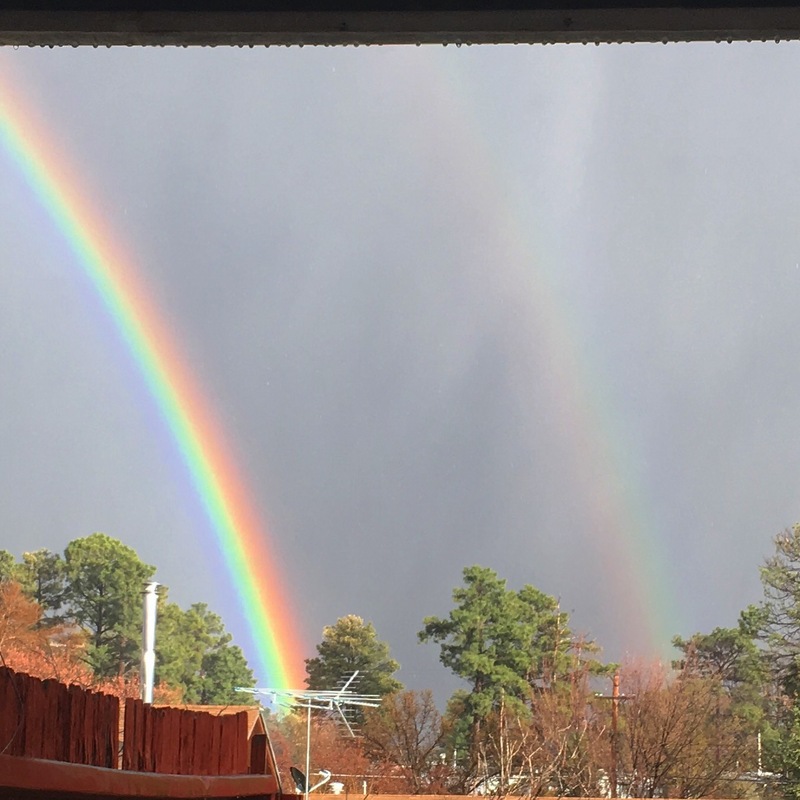 There was a sudden downpour yesterday that led to this beautiful sight out our back window. A double rainbow. One strong, one hazy. It felt like a metaphor. We have our rainbow. Sam is here, strong and vibrant. He can light up a room with his laugh and wants so much to do it all. But I have a wish. Another. It’s hazy. Now is not the time, we have too much going on with all of Sam’s medical issues and delays. We need a rest. And Owen is going off to kindergarten in the fall. There is no good time to be on months of bedrest. To have a newborn and the sleep deprivation and whirlwind that comes with a tiny person’s needs. I have said we are done. I think it’s true. Dan is done. But I see this and I can’t help but think about how much I’ve never stopped wishing that it was different. When I was pregnant with Sam I couldn’t look beyond the next day or week. Imagining him out and alive seemed like such a huge assumption. Tempting fate. I couldn’t let my self think of a future. The hope was too scary and the alternative too crushing. So I never saw him as “the last.” The last pregnancy, last newborn, last baby. So I struggle to retroactively apply that. He is the bright and vibrant rainbow. I just didn’t know there wouldn’t be a pot of gold at the end. This entry was posted in Rainbow. Bookmark the permalink.